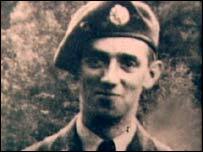 The government can challenge an inquest verdict on the death of a serviceman who underwent nerve gas tests in 1953, the High Court has ruled. Ronald Maddison thought he was taking part in an experiment to find a cure for the common cold when he volunteered for defence tests at Porton Down, his family believe. But within an hour of the trials - in which he was exposed to the nerve agent sarin - the 20-year-old RAF engineer was dead. At the time, to protect national security, Mr Maddison's father agreed only to say his son's death was "an unfortunate accident while on duty". For similar reasons the original inquest was held in secret. It ruled he died of asphyxia. But the Leading Aircraftman's family and other servicemen always maintained he had been tricked into volunteering for the 1953 trials. In November 2004 a second inquest returned a verdict of unlawful killing. But the Ministry of Defence has now been given leave by a High Court judge to prepare a challenge to that verdict. Another judge will decide whether there will be a full hearing on the MoD's challenge, after considering written arguments from all sides. LAC Maddison and five others were exposed to sarin, a lethal chemical agent, while inside a sealed gas chamber. The volunteers had been tempted by a notice which made assurances they would come to no harm and receive payment of 15 shillings (75p). After LAC Maddison's death - the first in trials at the Wiltshire laboratories - experiments ceased. His sister, Lilias Craik, said: "We knew nothing about how he died. We thought it could have been an accident, we knew he had volunteered for something, but we didn't know what." 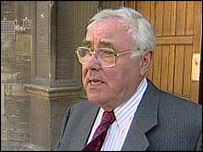 The campaigners' calls were finally answered in 2002 when a new inquest was ordered by a High Court judge. During that second hearing ex-army ambulance driver Alfred Thornhill - who was called to help LAC Maddison - described how he found him convulsing and foaming at the mouth. "He was taken into the medical centre where there were scientists and medical people," he said. "They just threw him onto the bed and gave him a big injection. "It was a terrible atmosphere - they were all panicking. They couldn't handle what they were looking at." Claims were made by Professor Sir Ian Kennedy, who was commissioned by the Ministry of Defence to write a chapter of the Porton Down Historical Survey, that the trials went too far. The leading expert in ethics told the inquest that volunteers' surface skin fat content was critical in the effect sarin could have on them - a factor not fully understood by scientists in the 1950s. It was discovered after Mr Maddison's death that his skin fat was "practically absent" - a key factor in his death, according to the professor. The hearing also heard from historian John Harding who examined official documents but found no link between experiments at Porton Down and a cure for the common cold. At a hearing on April 19, the MoD argued that the coroner in the second inquest was wrong to allow the jury the option of a verdict of "unlawful killing by reason of unlawful act manslaughter". Mr Justice Collins said it was impossible to say that such a point was not arguable.